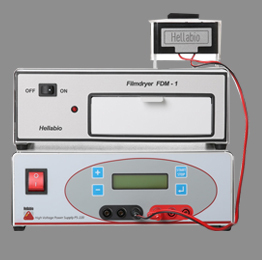 The Hellabio Power Supply is ideal for Agarose Gel Electrophoresis, SDS-PAGE and DNA/RNA submarine electrophoresis. The Hellabio Power Supply can run up to two gels at once at constant voltages. The integral timer and auto shut-off at the end of each run allows the user to perform other test at the running time without fear of losing valuable information.